Thanks, as always! Make sure to have twice as much fun for me. 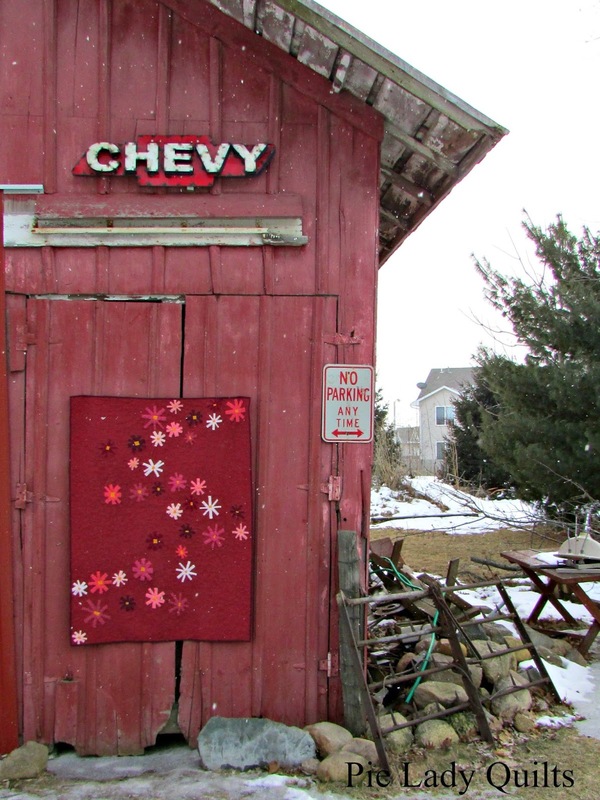 Can you believe that I hesitated before pinning the quilt up under the Chevy sign?! That was my favorite picture too. Marsala is just one of those colours you have no idea what people are going to do with and in this works really well! 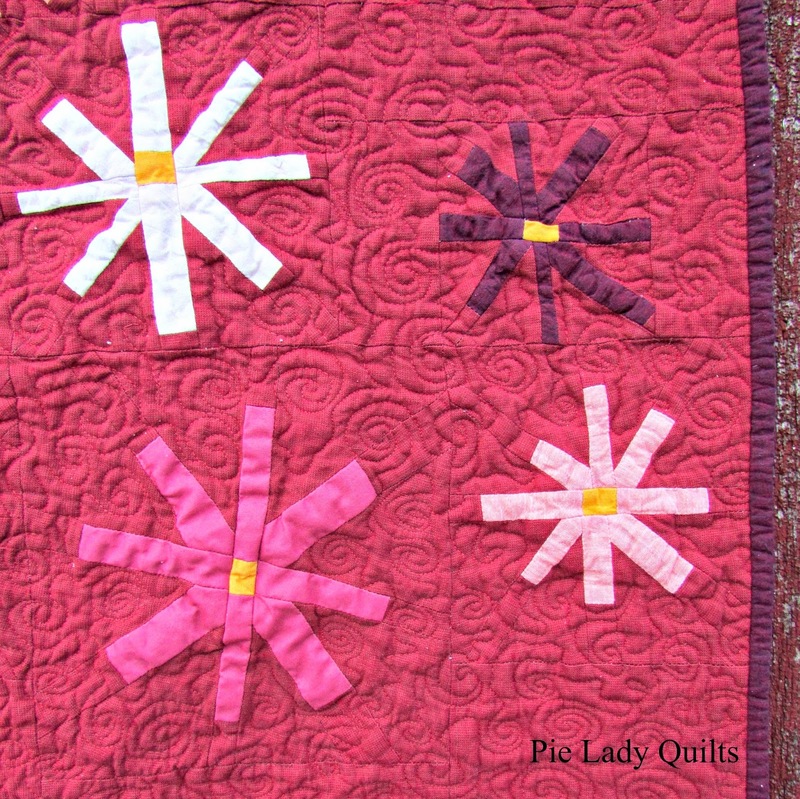 Love the pop of bright in the flowers and the wiggle spiral was a great choice! I know exactly what you mean, Ruth. This is definitely a "heavy" color to work with. After I quilted it, I had to take a break and baste a quilt with a lot of bright citron. My eyes needed it! Bravo! This is such a stunning quilt. Love the design and those pretty flowers. The different sizes and colours add interest and that Hogarth must have been brilliant! The photos are fabulous and so is this quilt. Nice work, Jill! I probably should know more about that Hogarth guy. After 15 years all I remembered was his name and "lazy S." :-) Ha! This is really very nice and so different from other quilts. 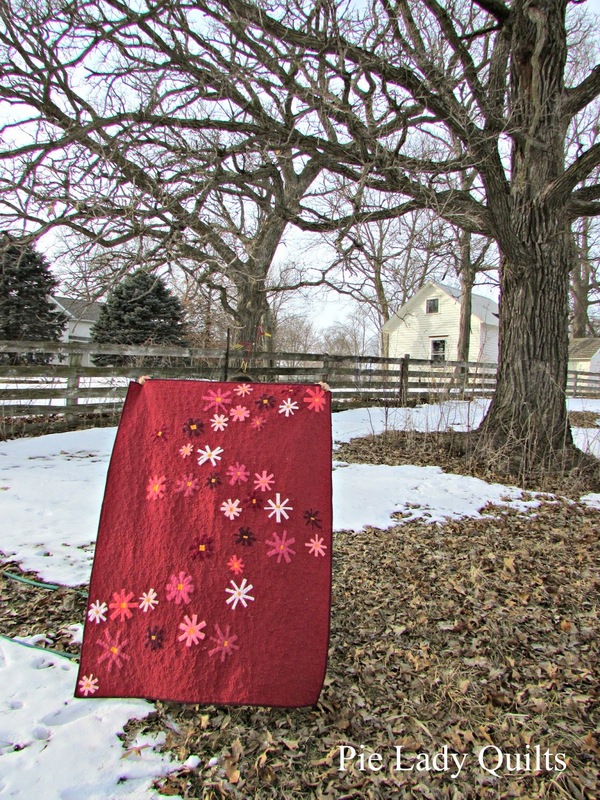 You really captured movement in this, which is amazing, it's like the flowers are swirling...it matches your quilting. Beautiful! This is such a kind comment that I really don't know what to say other than thank you. I appreciate it. 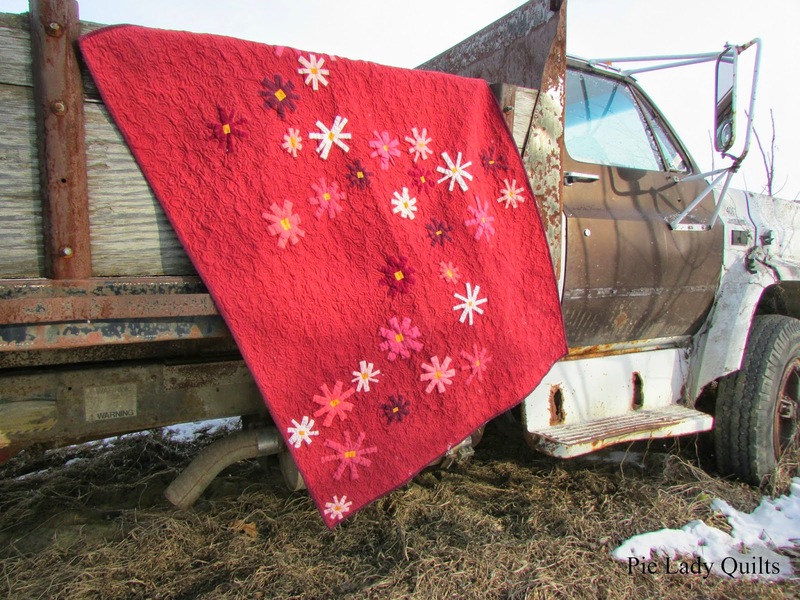 I love the story of your flower arrangement as much as I love the quilt! I would have awarded extra points for creativity; anyone can do black an white. It takes a good eye to see possibilities in fuschia and lapis! Love the design of the flowers on the quilt, as well as the colors. Black and white have an affinity for red roses and I just really, really, really dislike them. 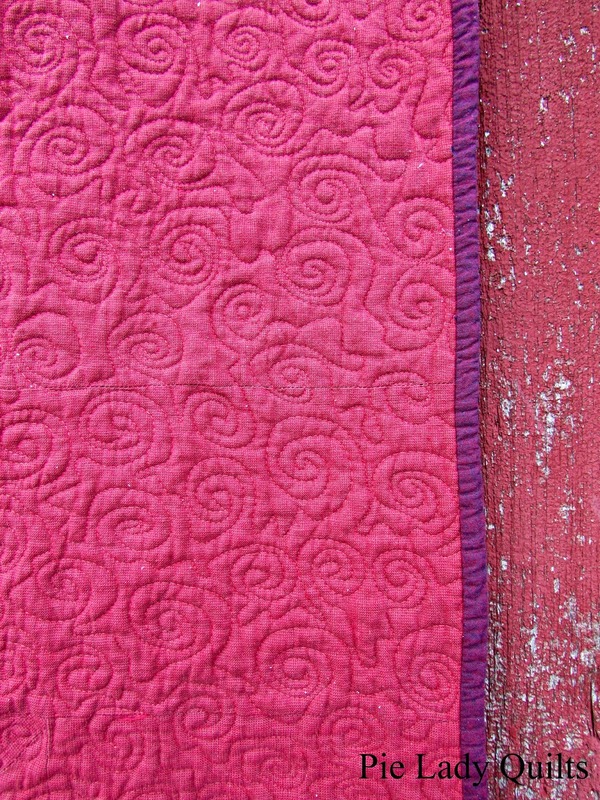 (But that's another story) I love using fuschia/raspberry and lapis/indigo in most quilts that I make. It might be! :-) I also drew the pattern on the wall of the shower, the air and on a pad of paper if that helps! Ha! Great quilt, great story! Thanks for sharing! I love the quilt and the story is delightful. I love the story of your flower arrangement class, I suspect yours must have been a welcome relief from the black and white!! And that quilt is just gorgeous - a lovely way to remember a happy memory! Thank you! Well, I never say never but.....a black, white and red quilt would be unlikely for me. I have heard it said that you quilt with what you wear and there is nothing quite that dramatic in my closet! I heard Will Smith say once that everyone should take up running, just so they could get practice in ignoring that voice in your head that tells you to stop. I don't run (ha), but I think those of us that quilt have a similar voice to combat. And thank you for your kind words about the quilting, it means a lot coming from you! It's there! Ha ha ha. (I had to make sure my memory was correct after all that time). I didn't want to be the idiot who used dandelions AND didn't do her homework. I am glad you liked the story! Du hast einen wünschen schönen quilt genäht. Das hast du mit viel Liebe genäht,das sieht man . Danke, Karo. Ich habe viel Liebe in meinem Herzen. Thank you, Cynthia. My blog seems to be a journal and a sketchbook for me. I am glad I wrote this one down. I am sure that my children will get a kick out of it someday! Wow - thanks for sharing the story behind your quilt. I already knew it was beautiful from seeing it on instagram but getting all the background really added to my appreciation. Great work, it's a lovely piece. Thank you, Adrianne! I appreciate your efforts in administering the challenge. This is my second year doing it because I had so much fun last year. It's good to try new things. Wow! Beautiful quilt design. 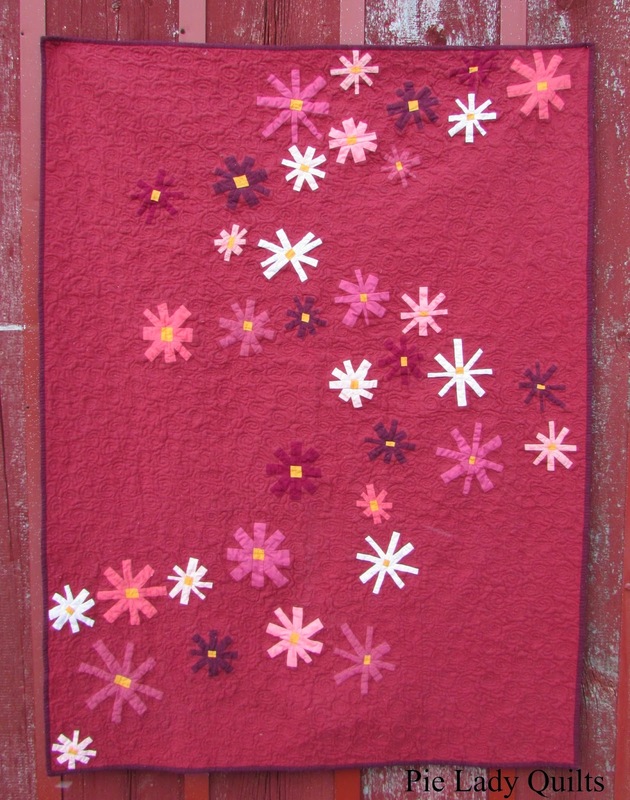 The flowers spacing gives your quilt "lift" - like a magic carpet ready to float at any given moment! The quilting is magical. Beautiful! Thank you, Pamela! I am glad that you think the quilting was successful. I sweat bullets about it and had to give myself a few pep talks before I could even start! 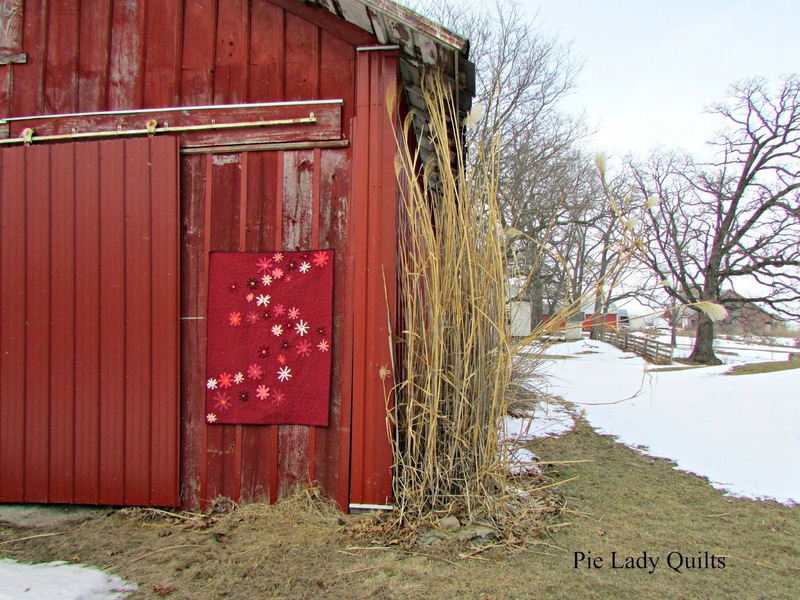 Wow, what a beautiful story to go with a beautiful quilt! Although I found myself really wishing you had a picture of your final project for your flower arrangement class, it sounds beautiful and whimsical! I'm always excited to see ideas from one art form expressed in another, so I really enjoyed that aspect of your design. I really wish I had a picture to share too! I think our neighbor got a picture, but who knows where that would be...I did some yard work yesterday and thought of this story. I have purple tulips and dandelions covered, but this fall I will definitely have to plant some fuschia tulip bulbs! Also, I am new to your blog, but you definitely have a new follower! Thanks Jennie! Quilts are just another way to enjoy a good story. Thanks for your comment.